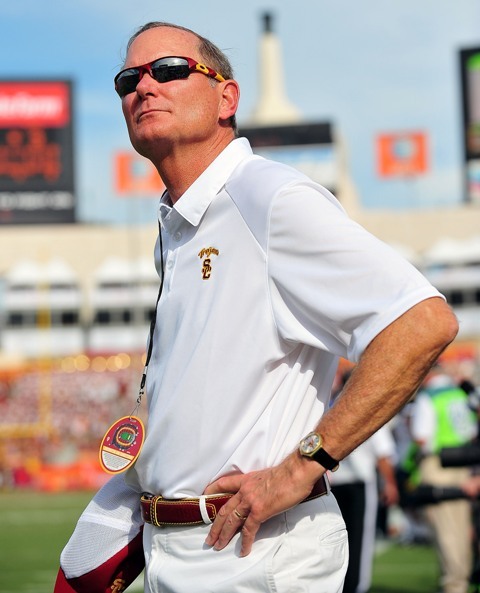 Here is the latest State of Troy from the always awesome A.D. Pat Haden. Give thanks Trojans! …the Trojan Family for its undying faith in our athletic programs. …the passion, will to win, and dedication of our coaches, athletic trainers and conditioning staff. …the effort and love all in our department put into their jobs on a daily basis. …the privilege of working at USC with our brilliant, talented, and selfless student-athletes. …the incredible effort every one of our 650 Student-Athletes puts forth to represent the Trojan Way. …Matt Barkley, who is one of the best all-around human beings I have been blessed to know. …the 2012 football senior class whose loyalty and perseverance led the program through the NCAA sanctions. …Jovan Vavic and Peter Smith, two consistently remarkable coaches who never stop striving for success. …our female student-athletes whose enthusiasm, love and ability to revel in every moment inspires me. …my best friend since I was 14, J.K. McKay. …the support of our President C.L. Max Nikias. …my incredible wife, children and grandchildren.